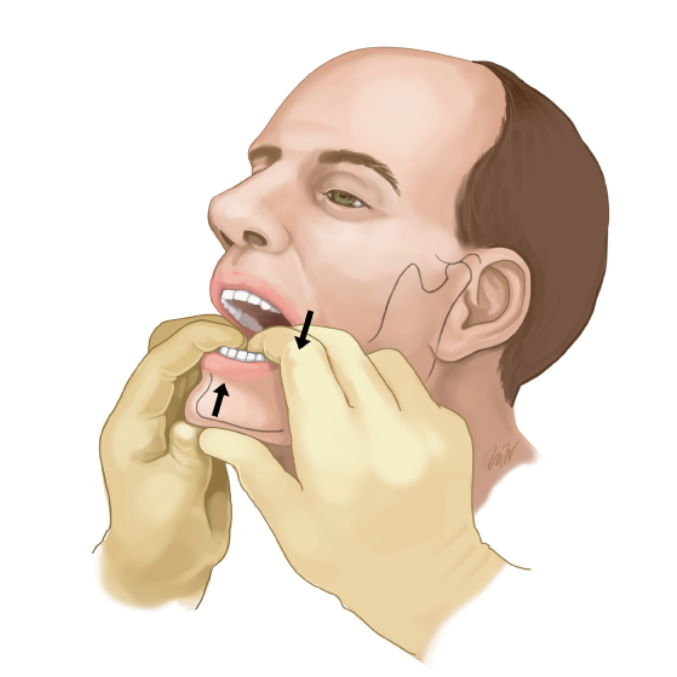 Definition: Displacement of the mandibular condyle from the temporomandibular fossa. 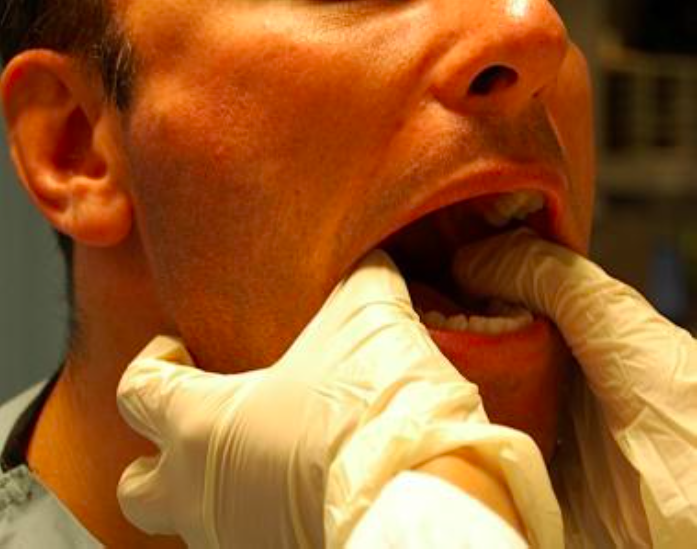 Atraumatic (most common) from extreme mouth opening (yawning, eating, dental procedure, etc). TMJ dislocations typically occur bilaterally. Anterior dislocations: Palpation of the TMJ can reveal one or both of the condyles to be anteriorly displaced in front of the articular eminence. Force must be equally applied to all sites to prevent fracture. Amsterdam JT: Oral Medicine, in Marx JA, Hockberger RS, Walls RM, et al (eds): Rosen’s Emergency Medicine: Concepts and Clinical Practice, ed 8. St. Louis, Mosby, Inc., 2010, (Ch) 70: p 895-909. Marx JA et al. Rosen’s Emergency Medicine: Concepts and Clinical Practice, 7 ed. Philadelphia: Mosby Elsevier, 2010. Mendez DR et al. 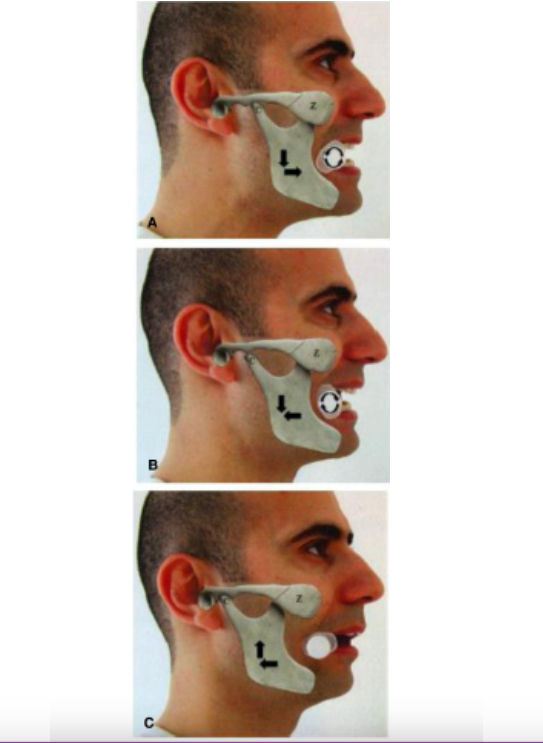 Reduction of temporomandibular joint (TMJ) dislocations. In: UpToDate, Post TW (Ed), UpToDate, Waltham, MA.